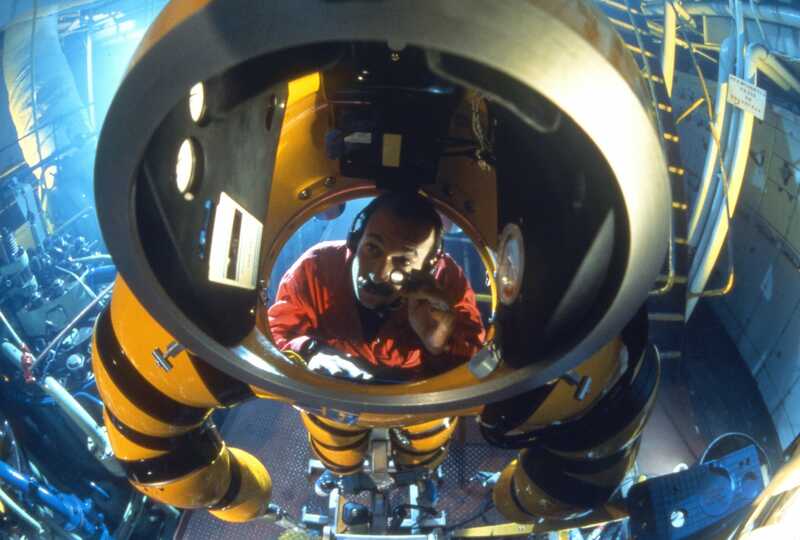 In Flight of the Aquanaut, a diver encased in a special metal diving suit descends into the ocean depths to inspect damage to a reef ecosystem. The routine investigation soon plunges audiences into a dramatic adventure as the life of the diver, and the creatures of a coral reef are pitted against the legacy of a sinister shipwreck. Flight of the Aquanaut captures the beauty and danger of ocean exploration, weaving real ocean footage together with a dramatic and mythical storyline to deliver a potent environmental message. 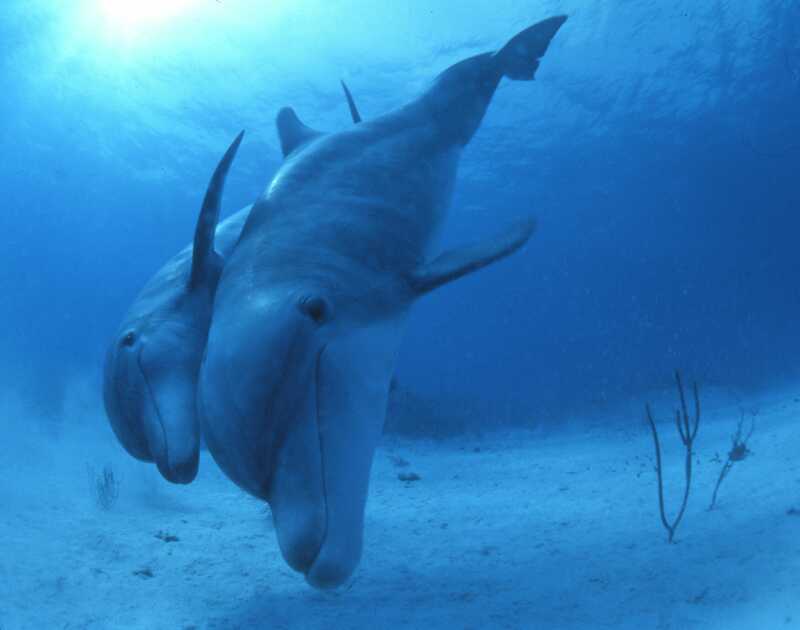 Structured as an ‘eco-fable’, the film provokes thought about our role and responsibility with regard to the world’s oceans and the creatures that live there. 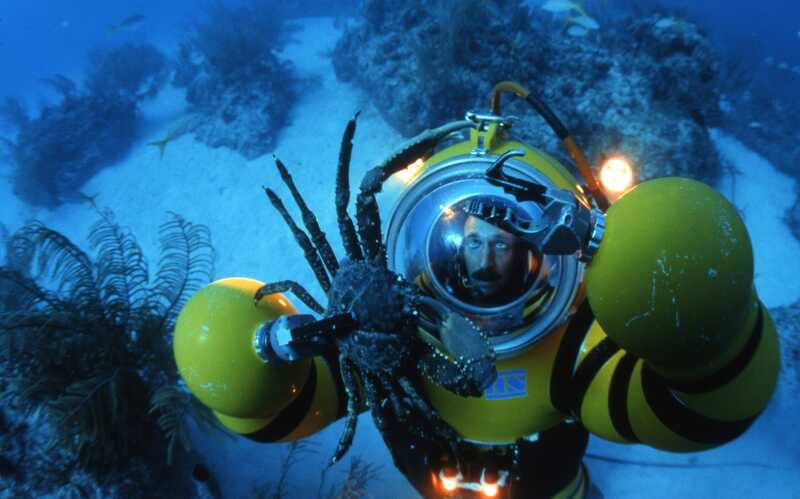 Filmed almost entirely on location at depth in the Bahamas, Flight of the Aquanaut features spectacular underwater vistas, reefs, eels and dolphins. 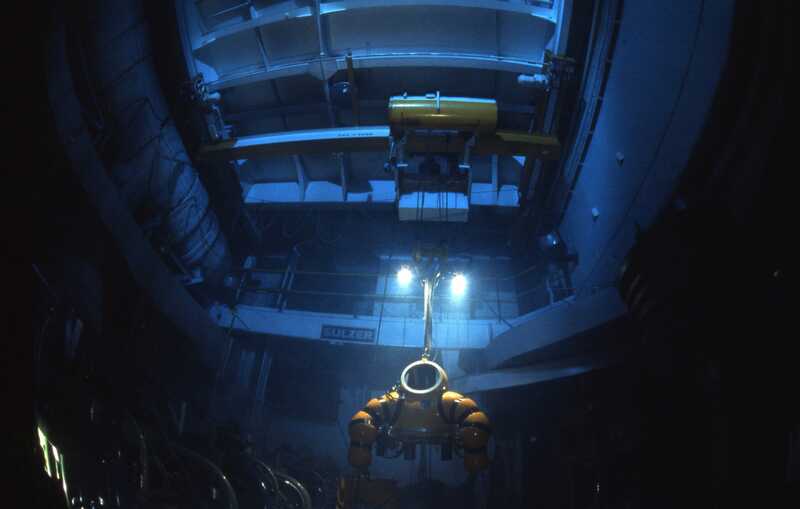 Key dramatic sequences in the production were filmed at a depth of 100 – 120 feet using rotating teams of SCUBA divers and a one-atmosphere Newtsuit diving system. Flight of the Aquanaut was awarded The Board of Directors Award for Best IMAX film at the 1993 Hawaii International Film Festival. To put Flight of the Aquanaut on film, Director/Producer Stephen Low, Associate Producer Paul Mockler and a crew of up to 20 divers and technical personnel spent four months diving from a specially equipped Hatteras sport -fishing boat and from additional support boats. 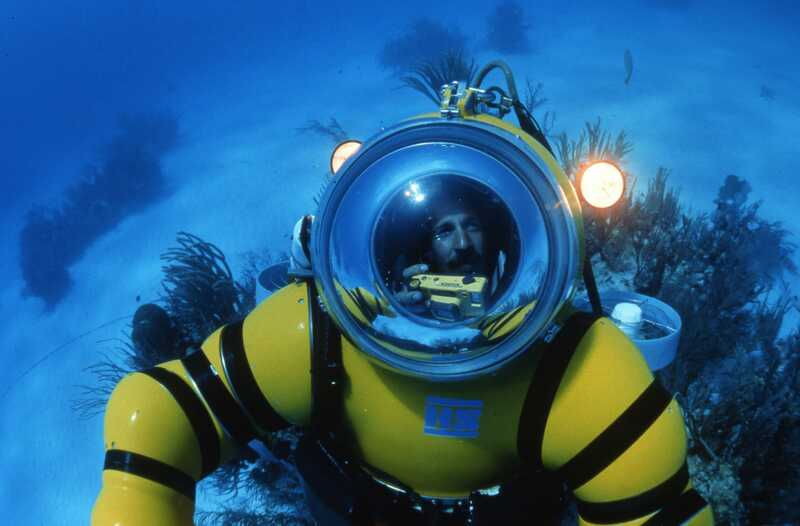 Working out of Port Lucaya on Grand Bahama Island in the Bahamas, the team filmed almost entirely underwater, using dozens of locations, from coral reefs in the sparkling turquoise shallows, to the massive underside of a supertanker, to a deep-water shipwreck; they filmed sharks, turtles and moray eels, and swam with trained dolphins in the open ocean. Working around storms and aiming for periods of maximum water clarity, the team was able to capture the Bahamas’ unique underwater vistas. To shoot some of the key dramatic sequences and achieve a high level of realism, the team worked at depths of 100 feet and more, far deeper than Hollywood productions which manufacture the deep sea experience in tanks or in shallow water. In an ironic twist, the divers, operating with conventional SCUBA equipment, could operate for only a limited time at depth, while the film’s ill -fated character, the well-equipped ‘aquanaut’ was capable of remaining below the surface for many hours without difficulty. 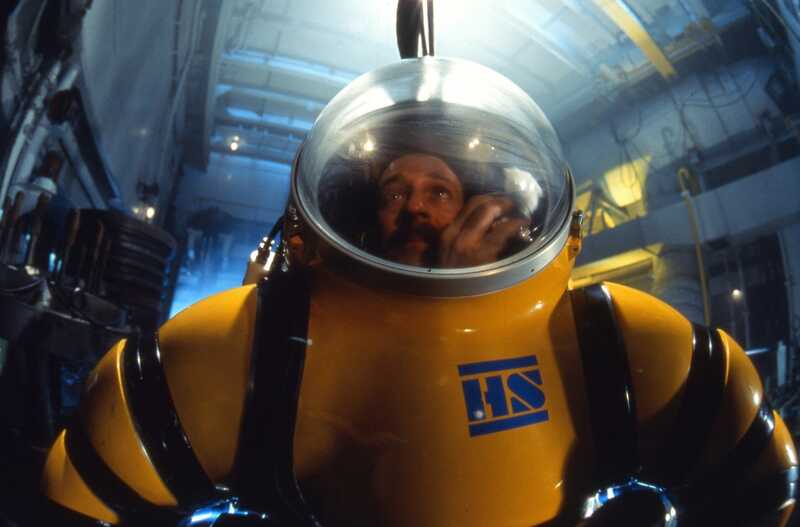 Despite a rigorous diving schedule and the hazards and complexities of creating dramatic sequences at depth (some of them inside a shipwreck), filming for Flight of the Aquanaut was completed without incident. 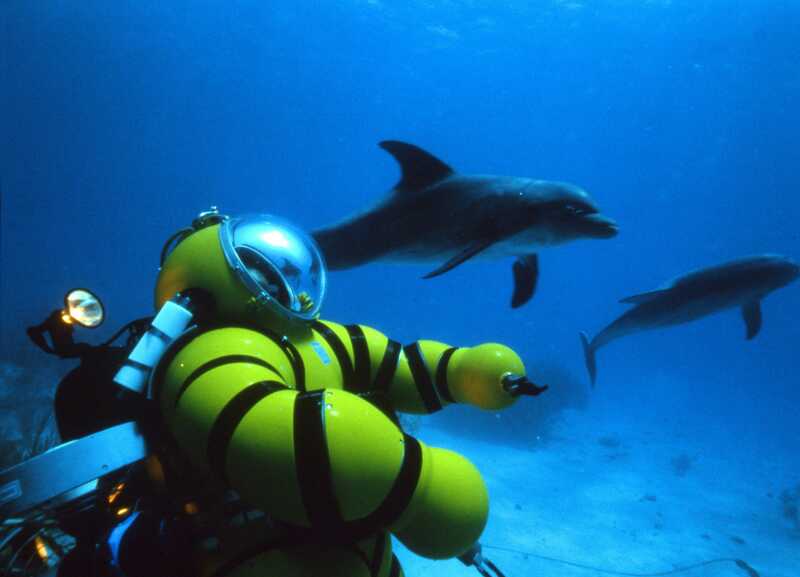 The Aquanaut travels inside a NEWTSUIT, a state-of–the-art diving suit that allows its wearer to dive as deep as 1,000 feet while staying at atmospheric pressure and retaining much of normal mobility. 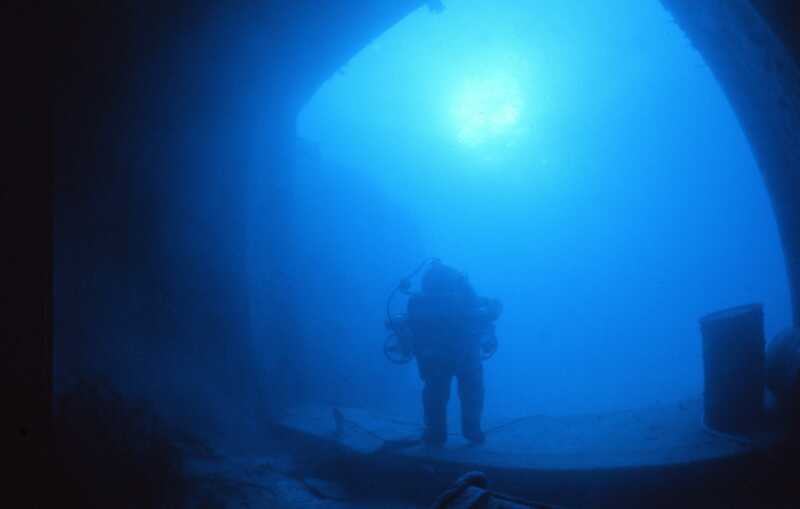 Its one atmosphere environment eliminates the pressure-related physiological hazards that have always hampered (and all too often killed) unprotected divers operating in deep water. 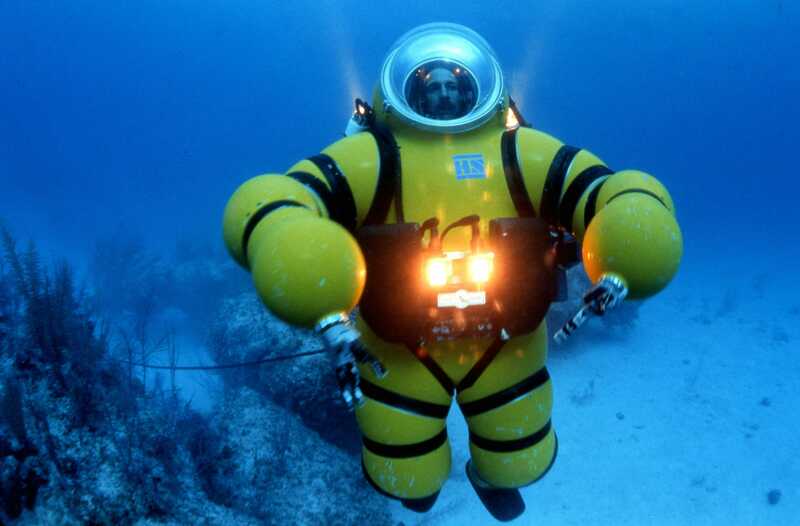 The NEWTSUIT is an atmospheric diving suit or ‘ADS’. 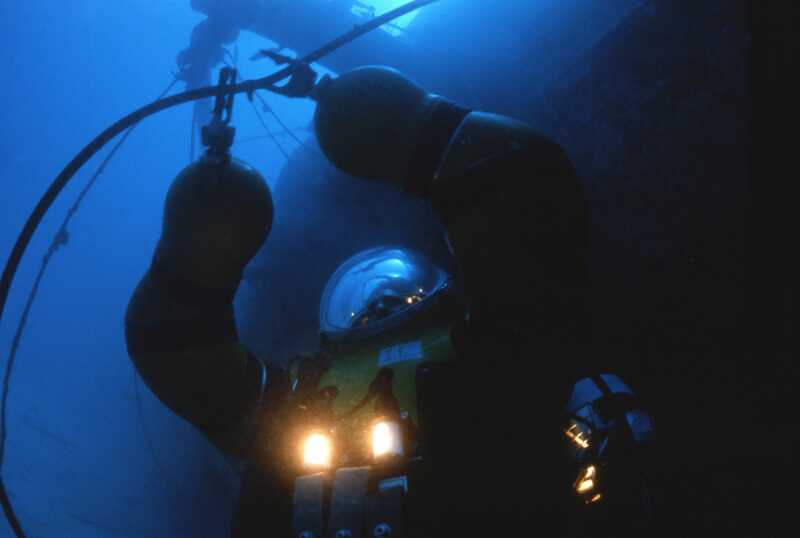 Doing extended work in deep water without a suit or a submarine involves ‘saturation diving’, a process in which divers allow their body tissues to become ‘saturated’ with nitrogen. 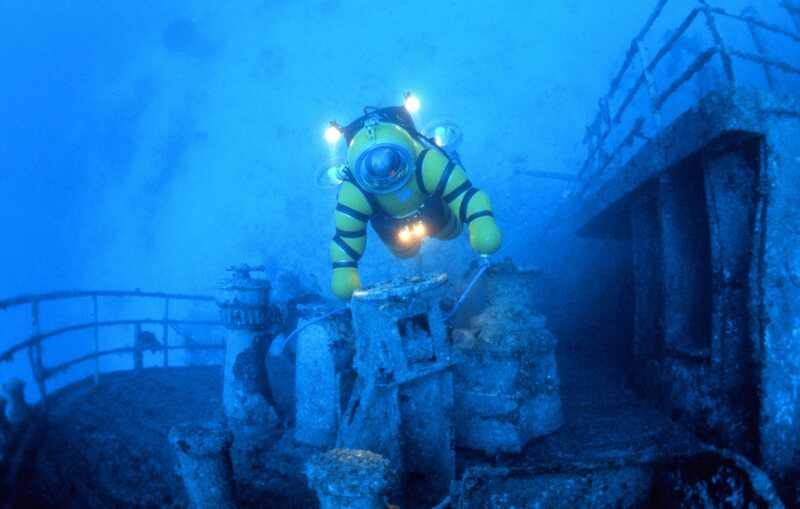 Diving in deep water exposes divers to such physiological hazards as ‘the bends’, nitrogen narcosis, high-pressure nervous syndrome and bone necrosis. 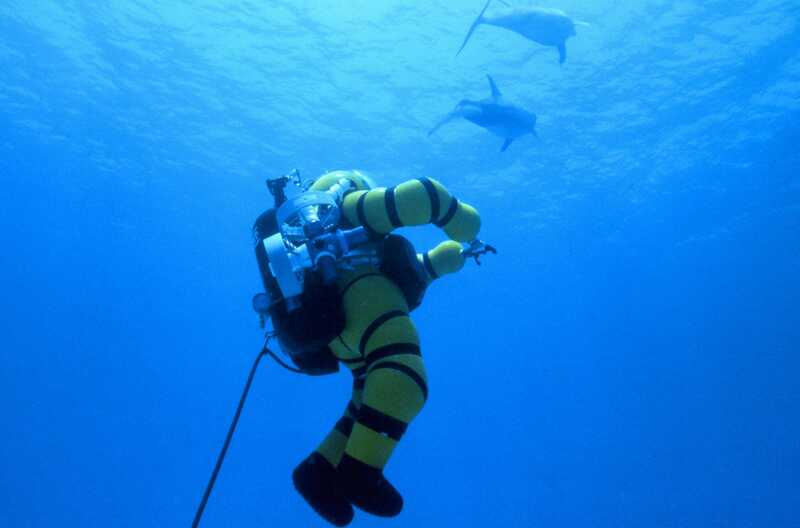 A diving suit which maintains a low internal pressure protects its wearer against such pressure-related hazards. 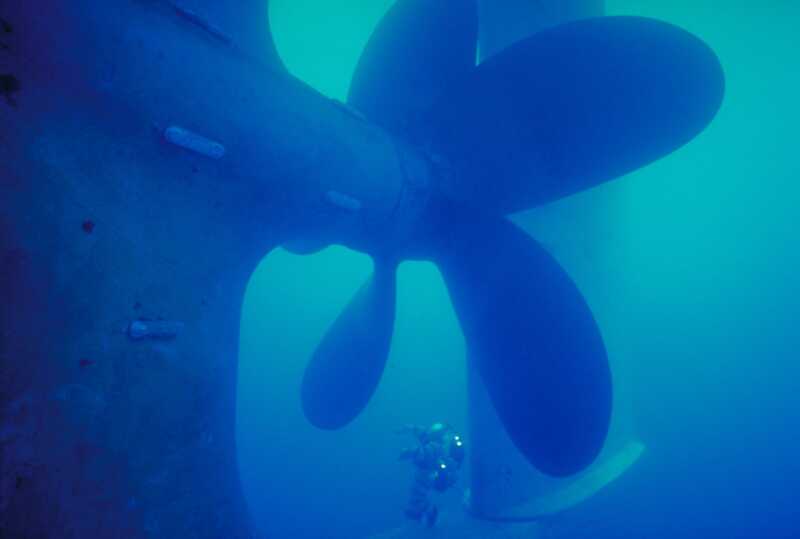 In addition to the inherent dangers of saturation diving, the process is also long and expensive: a dive of twelve hours duration for example, will be preceded by a day of compression and followed by eight days of decompression in a large hyperbaric chamber. 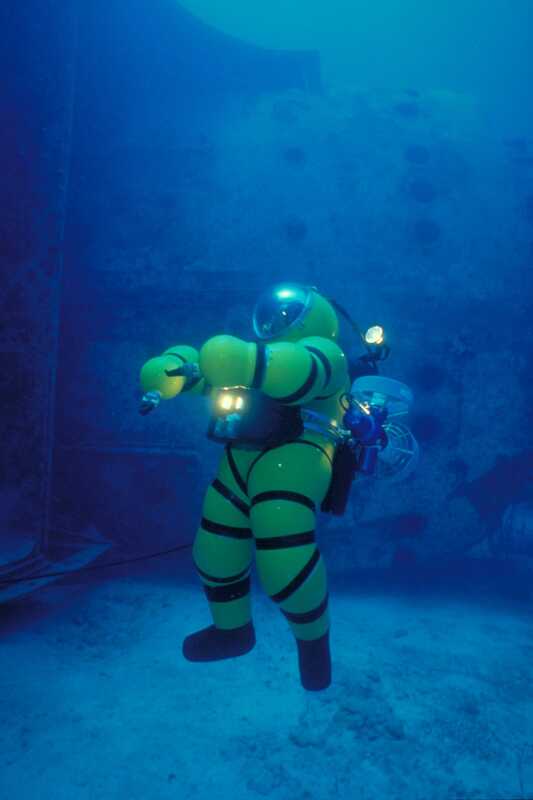 With the right suit, saturation diving no longer becomes necessary.